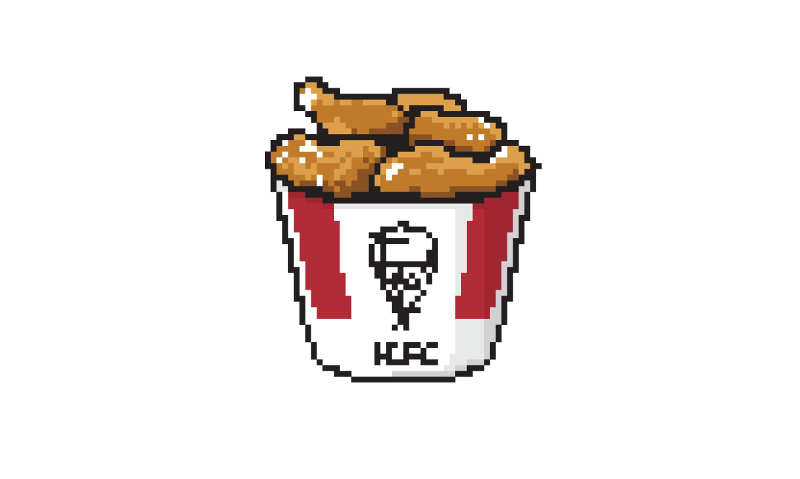 Twitch, a platform that’s notoriously dealt with racist chat spam for years, recently added an official Kentucky Fried Chicken chat emote that depicts a bucket full of the Colonel’s original recipe. You can probably see where this is going. The emote launched over the weekend as part of a PlayerUnknown’s Battlegrounds promotion in which streamers Sacriel, Sequisha, Anthony Kongphan, and Dr. Lupo competed to earn as many chicken dinners as possible. Viewers, meanwhile, could fire off the new KFC emote when streamers made it to the winner’s circle for a chance to take home chicken dinners of their own in the form of KFC gift cards. The emote, though, is global, meaning that anyone on Twitch—whether they’re involved in the promotion or not—can use it. It did not take long for the KFC bucket to start appearing alongside Trihard, an emote of streamer Trihex’s face that jerks like to spam when black people appear on screen. Upon finding out about the existence of the KFC emote, Trihex himself was astounded. Multiple Twitch-related communities shared his incredulity, with threads with titles like “Twitch releasing toxicity enabling emotes” and “Twitch wants to get rid off toxicity yet they add enabling emotes” popping up on Reddit. Streamers with notoriously problematic communities like Forsen and Sodapoppin took to preemptively banning the KFC emote for fear of running afoul of Twitch’s new community terms of service. He went on to reference Overwatch League player Félix “xQc” Lengyel, who recently got released from his team, the Dallas Fuel, after spamming the Trihard emote during a broadcast in which black esports host Malik Forté appeared on screen. Lengyel claimed that he and his community use the emote as a greeting, and not a racially insensitive gag. But the broader implication of the incident is clear: after years of (mostly) turning a blind eye to racist Twitch chat spam, major publishers like Blizzard are finally starting to do something about it. Between that and Twitch’s new policies—which state, in a nutshell, that streamers can’t just let their communities go flying off the leash—streamers are starting to feel the heat. In the face of all that, they find it strange that Twitch would put what essentially amounts to a ticking time bomb on its platform. We’ve reached out to Twitch for comment and will update this story if we hear back. The bigger issue, though, is that racist chat spam was ever allowed to become so pervasive on Twitch in the first place. When things are so bad that people are calling for a pixelated picture of a bucket of chicken to be deleted, you know you’ve got a problem.